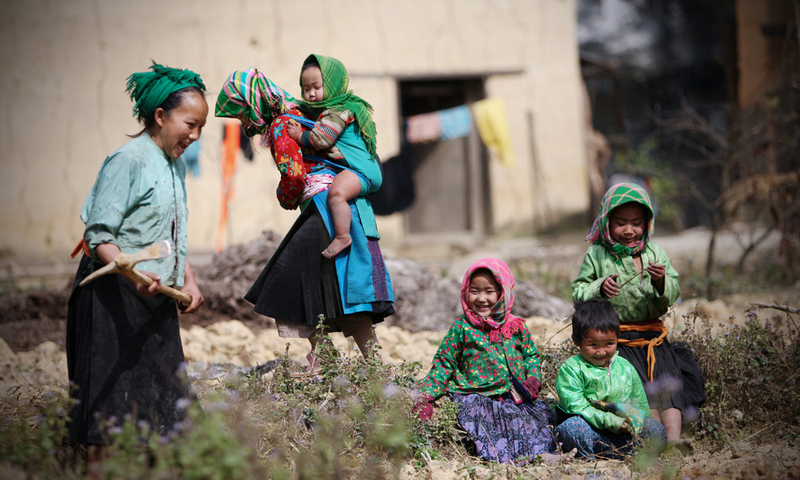 Central and Northern Vietnam is a great destination for the family as it offers many exciting family activities and places to explore as well as ample opportunities for relaxation. Starting in the capital city of Hanoi, you will experience one of SE Asia's most vibrant and exciting cities. You can take a Cyclo ride in the centre of the city to see the narrow streets of the Old Quarter, the beautiful Hoan Kien Lake and the more luxurious French Quarter. A 3 hour drive North takes you into the mountainous regions of Vietnam to the valley of Mai Chau. There are 54 Ethnic groups living in Vietnam each with their unique cultures, ways of living and styles of dress. And in Mai Chau you will meet the friendly and gracious Thai people. You may get the opportunity to help with the planting or harvesting of the crops if the season is right. Whatever the season, you can bicycle around the rice paddies and through the local villages. And if you are feeling a little more adventurous, there is always some rock climbing that can be arranged. 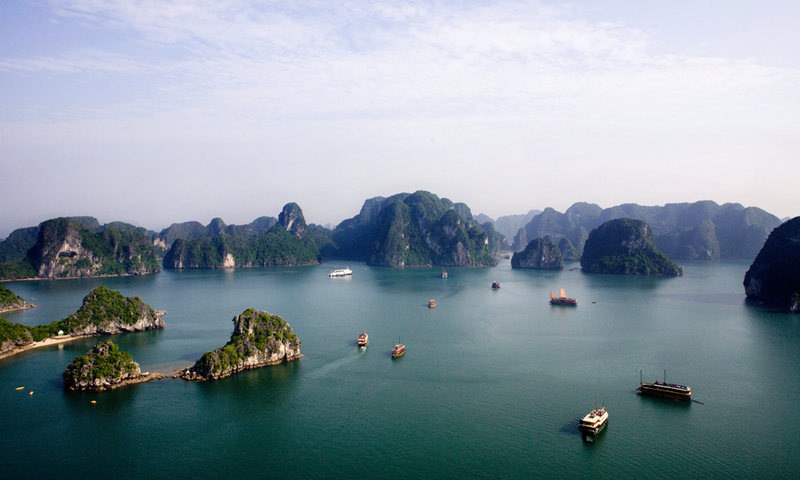 Back to Hanoi and onto the dramatic area of Ha Long Bay, where the whole family will be thrilled by the adventure of sailing around the magnificent karsts of the Bay (large rock foundations that explode out of the sea). During your stay on the boat, you will explore local caves, go kayaking, visit the local communities who live on the Bay in their boats with houses built on stilts. More local culture waits you at the Homestay in Ky Son Village in the central part of Vietnam. Here the family can choose to go walking, biking, fishing and, for the ones who like a little pampering, you can enjoy a steam bath using local herbs and/or a footbath and massage done in the traditional way. Add into this a walk to the local Pagodas and involvement in some local traditions. It's guaranteed that there will be something exciting for all family members to enjoy. 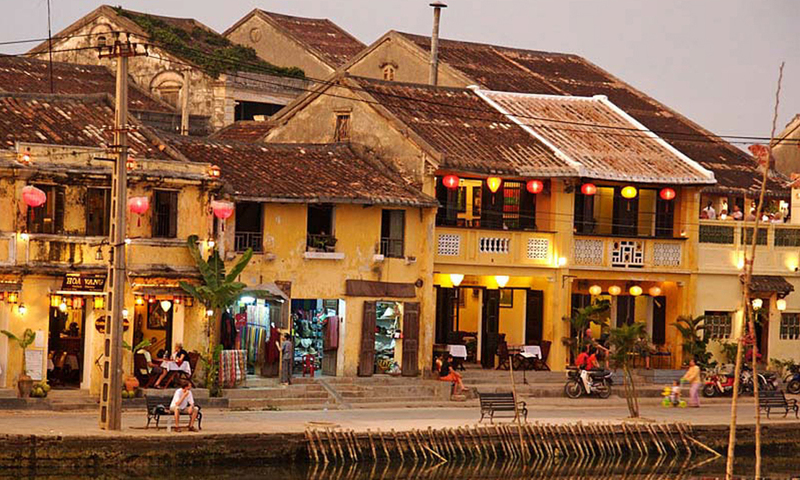 With more in stores, your family then head for the charming and ancient town of Hoi An. Here, again, the whole family is catered for, from the history and culture of the old buildings, to the extensive shopping opportunities to the boat trip to the local craft villages, cooking classes and even a trip to the lovely Cua Dai beach. 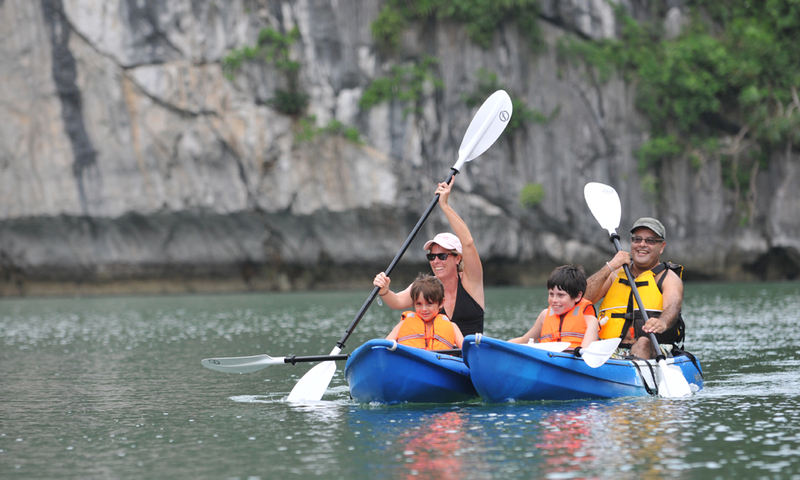 'Exciting Family Adventures in Vietnam (Central and North)' offers exactly that, exciting family adventures in the northern and central areas of Vietnam! Please note that the precise itinerary can be adapted to suit the requirements of the age, size and interests of your family. On your arrival at Noi Bai International Airport, your guide will be waiting to take you to the center of Hanoi City to check into the hotel. Spend your first day in Vietnam taking in the atmosphere. 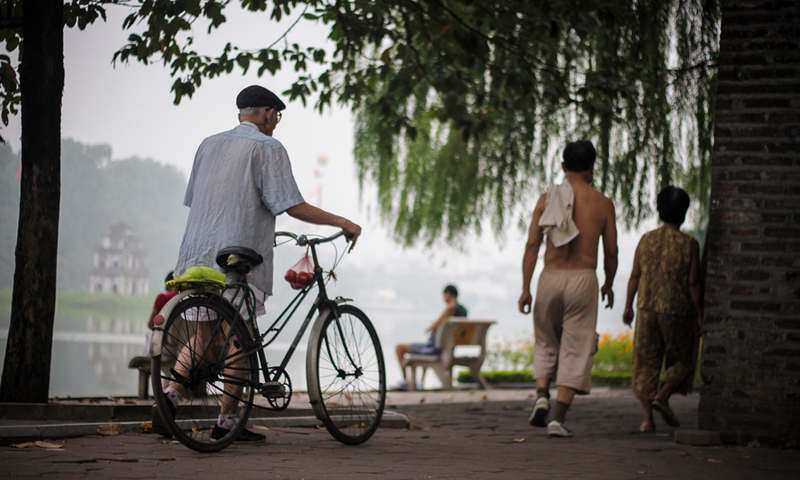 Walk around the beautiful Hoan Kiem Lake. Feeling adventurous?To the north of the lake, are the 36 streest of the Old Quarter where you will find tiny buildings nestling in narrow streets. That are lined with shops and street vendors selling all manner of goods to locals and tourists alike. The rest of the night is at your leisure. The morning starts with a cyclo ride around the 36 streets in the Old Quarter. Here you will get your first real feel for ancient Vietnam as the Old Quarter has a history that goes back over 2,000 years. The Old Quarter is one of the oldest areas in Vietnam and is still continuously developing. You will also ride down the tree lined boulevards and see old French Colonial architecture in the French Colonial District. Other possibilities for the family in Ha Noi to enjoy include the Ho Chi Minh museum and surrounding area is a great place to visit. For more open space, go to the Thong Nhat park (to the south of Hoan Kiem) or take a fun boat ride on Truc Bach Lake (a short taxi ride north). 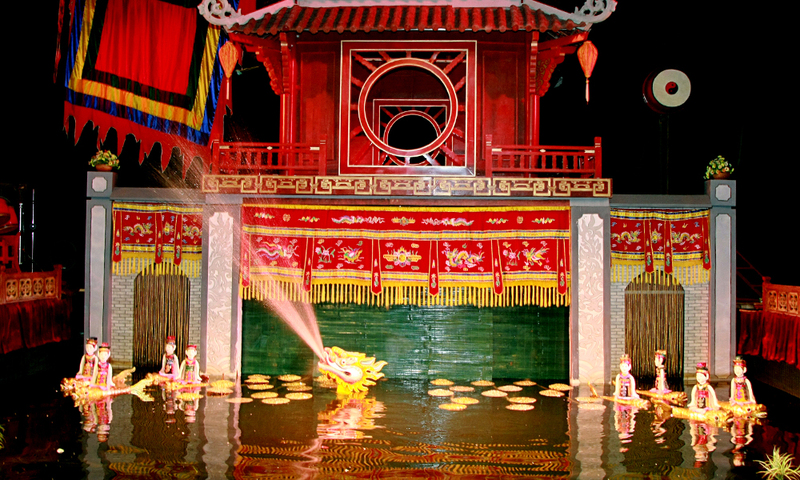 Later in the evening, relax at the unique Water Puppet Show,a traditional folk performance held at Hanoi Theater. Leaving the city, you can see some of the dramatic scenery that Vietnam has to offer. 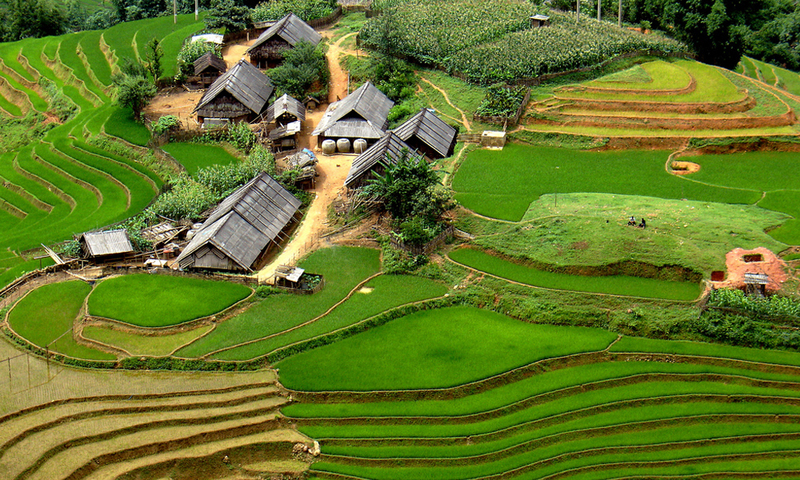 We travel by car to Mai Chau Village where you will spend the next two days in this breathtaking valley. Enjoy the swimming and spa facilities at your lodge or take a walk or a bicycle through some of the local ethnic minority communities that are scattered around the valley. After breakfast, you can continue to enjoy the many activities that Mai Chau has to offer. 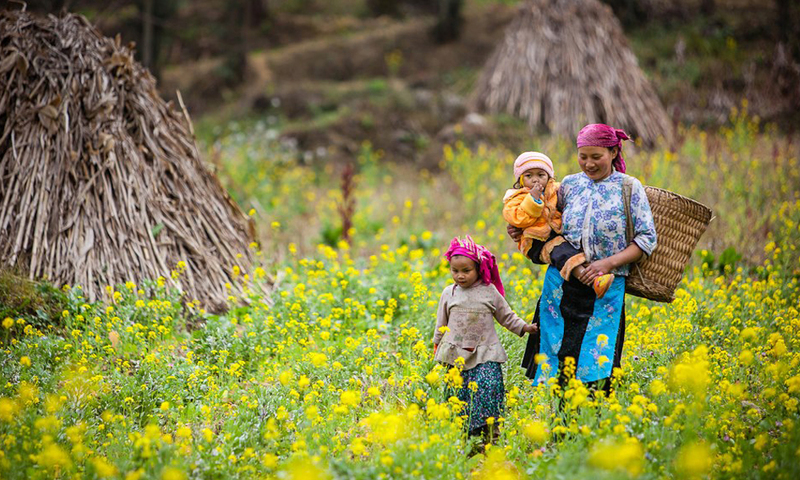 If you decide to explore the valley, you will see the local people going about their daily tasks in the fields. You may get invited to have a go at planting or harvesting the crops (depending on the time of year). You also have the new option of rock climbing, something new to the area. The rock climbing experience is a must for any adventurous family. It is as safe as it is fun for everyone. No matter the age or physical ability or experience, there are many places to climb. These gorgeous rock formations will leave you and your family in awe and give you something to talk about to your friends for a lifetime! If your family is more in the mood to kick back and relax, then you can take the option to stay in the hotel and sunbathe beside the pool. The morning is free at your leisure before we head back to Hanoi. On arrival in Hanoi, you and your family can explore the city on your own. Go site seeing or enjoy one of the many fabulous cafes or restaurants.This is a city packed with many hidden charms. In the morning, we leave Hanoi and travel East to the astonishing and mystical UNESCO World Heritage Site of Ha Long Bay. After boarding and getting settled in your cabin, we set sail for a leisurely ride through the breathtaking Ha Long Bay, where you will see unique rock formations called ‘Karsts’- mountain peaks jarring out of the water. There are also caves and tunnels begging to be explored. During the evening, relax in the casual and comfortable atmosphere on the luxury boat where you will have an elegant dining experience. Get cameras ready for a spectacular sunset and then marvel at the clear skies and stars before retiring to your cabin for the night. Today you will get to choose your activities based on your families preferences. Relaxing onboard is always an option. 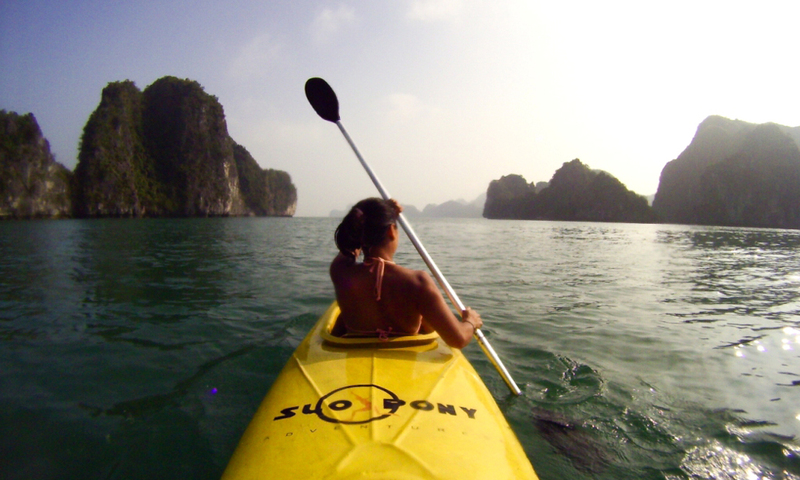 For others venturing out on kayaks to explore the lagoons and grottoes of the Bay might be the optimal choice. Or why not choose to do both! All meals are on the boat. After breakfast, you and your family leave Ha Long Bay and head for Ky Son Village where you will be staying at the Moon Garden Homestay. Enjoy all that this beautiful area has to offer. Take a walk or a bicycle tour around the village to see the old houses, rice paddies and other farming crops. You can go fishing trip and even kite flying. If you want a less strenuous walk, the gardens offer a haven of calm. 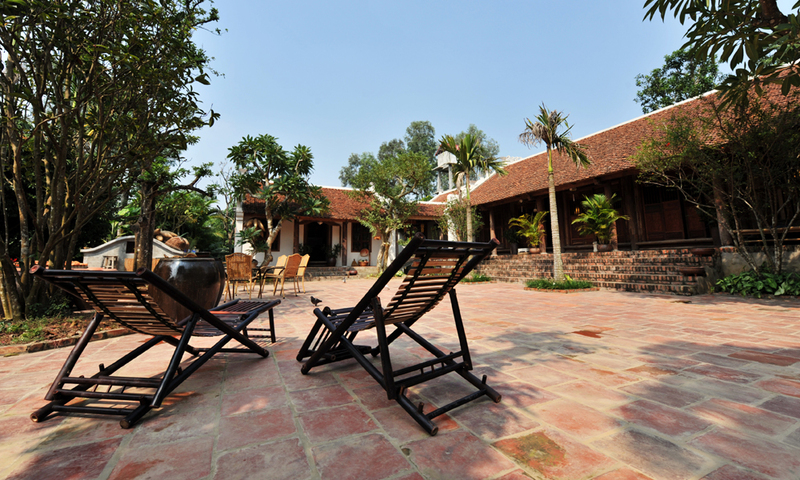 The family can enjoy the freedom that this wonderful Homestay and the surroundings have to offer. And if you are looking for something more indulgent, take a refreshing steam bath with fragrant herbs that emit a soothing aroma. After a busy day, you can indulge in the delicious dinner that is offered at the homestay and in the evening, witness the local worship as well enjoy a footbath in ginger and salt water. After breakfast, the whole family can participate in the ancient custom of burning votive money and gold for the deceased ancestors of Vietnam before embarking on an adventure down the ritual paths through the Thang Thac Village to explore Ngo Quyen Tomb, Phung Hung Temple, Duong Lam Ancient Village, and Mia Pagoda. Before lunch, you have the option to join a cooking class or just relax before your meal. The afternoon offers a number of choices. Take a catnap in one of the hammocks in the garden or walk around and take advantage of the many photo opportunities such as Vietnamese in their traditional clothes and the beautiful scenery around the area. You can also go fishing and talk to locals about Ky Son to learn more about this great area. Later in the afternoon, you will travel back to Hanoi to take a flight to Da Nang, which is located centrally in Vietnam. From there you will head to the stunningly beautiful town of Hoi An where you and your family will spend the rest of the night. This town caters perfectly to tourists. Enjoy walking down the gorgeous illuminated streets and enjoy dinner at any of the exquisite restaurants. Enjoy a walking tour through the narrow and ancient streets of this charming town. 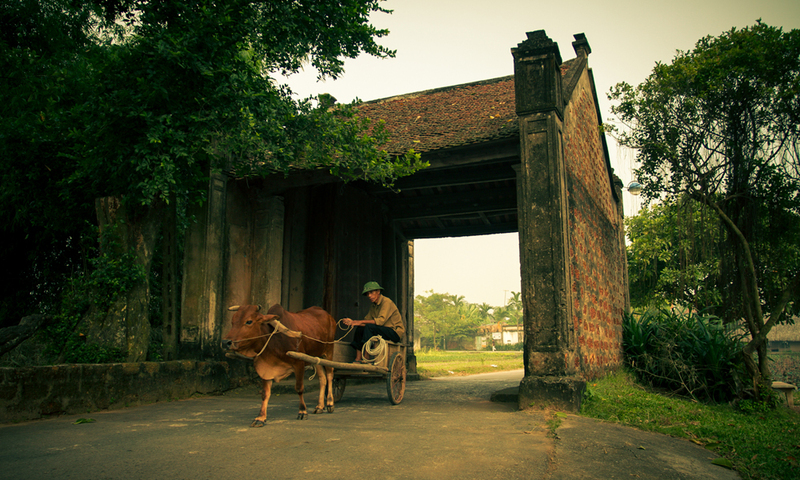 Perhaps more than any other places in Vietnam, Hoi An retains the feel of centuries past. Once known as Faifo, Hoi An was an influential port along the Silk Road. For over 500 years, merchants from China, Japan, France and Portugal settled in the prosperous town resulting in a distinctive blend of culture, cuisine, religions and architecture. In 1999, the town received status as a UNESCO World Heritage Site listed for having the ‘most unique’ architecture in Southeast Asia. It has been restored and protected by both the UNESCO funding and proud locals ever since. In the afternoon, we go by boat to visit the handicraft villages that specialize in ceramics and boat building. On this day, enjoy Hoi An at your own pace. Take the family to the Cua Dai Beach, take bicycles into the surrounding countryside or go shopping at many local shops situated throughout the town. 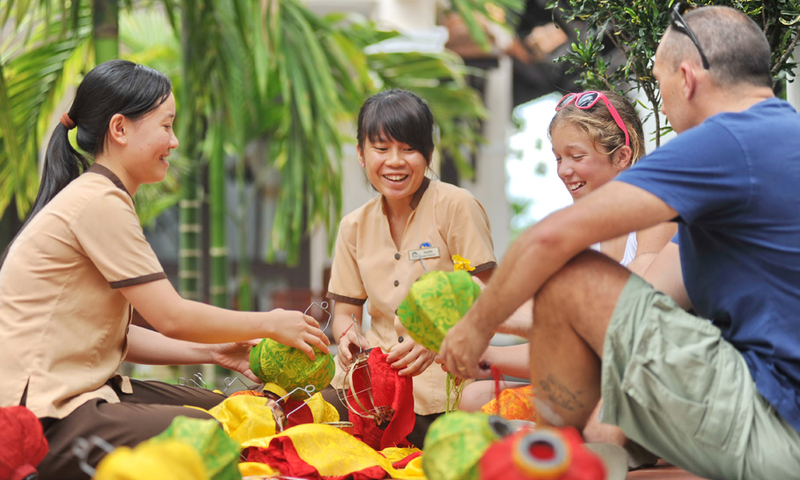 Hoi An also offers other activities such as cooking classes. 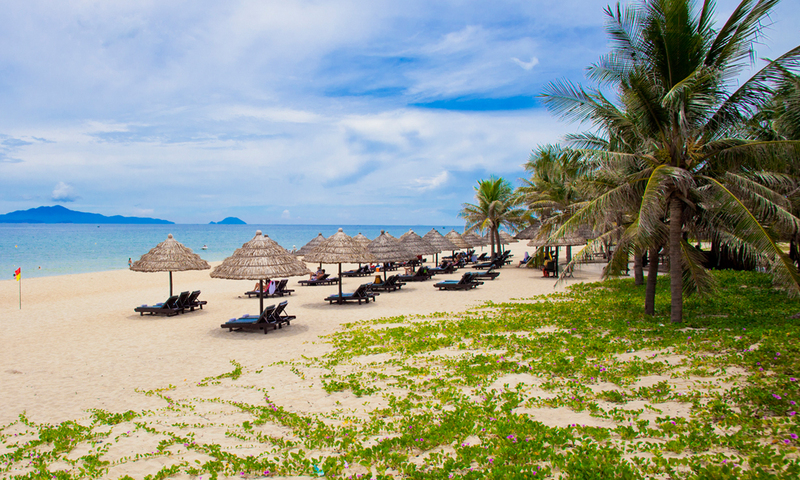 On the day of your departure, you are free to shop, relax and do whatever you would like at your leisure until it is time to transfer to the airport in Da Nang.